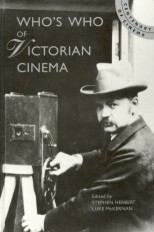 The filming by W.K-L. Dickson of eight scenes from Jefferson's long standing stage success Rip Van Winkle in August 1896 provided the newly established Biograph company with considerable prestige and demonstrated the cinema's potential for preserving historic performances. Born into a family of actors Jefferson made his debut in 1832. 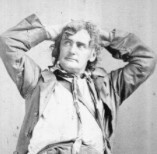 He became well-known on the New York stage in the 1850s, and, in 1865, appeared as 'Rip' in Dion Boucicault's adaptation of Washington Irving's tale at the Adelphi Theatre, London. Thereafter the piece, described by Biograph as 'America 's Greatest and Most Popular Play', remained at the centre of his repertoire. The play was also filmed by his son, Thomas Jefferson, in 1914.